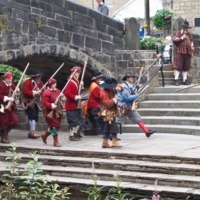 To celebrate the 500th anniversary of Hebden Bridge’s packhorse bridge a weekend of events took place in Hebden Bridge on 10th and 11th July 2010. 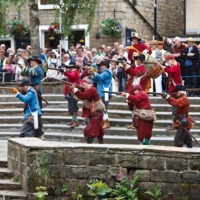 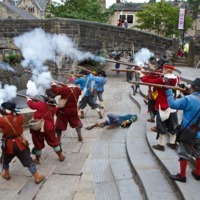 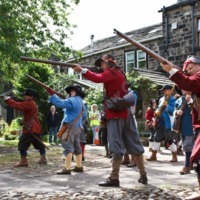 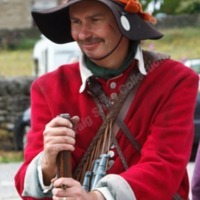 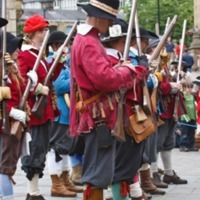 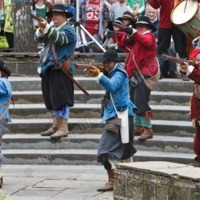 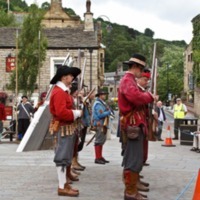 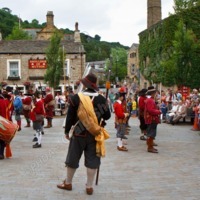 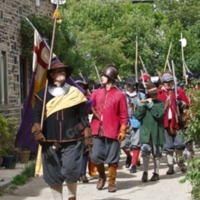 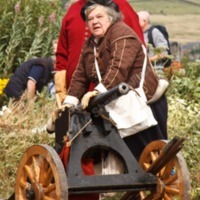 This included music and parades, but the major event was the re-enactment of the Battle of Heptonstall, in Hebden Bridge on the Saturday, and Heptonstall on the Sunday. 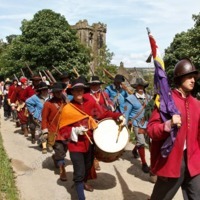 Colour photos of the re-enactment of the Battle of Heptonstall.